The schadenfreude is seriously flowing today with Anthony Albanese calling for the Coalition’s entire megaproject program to be independently investigated in the wake of East West Link reports from the Victorian Auditor General and Australian National Audit Office, and last months WA Supreme Court ruling into Roe 8. A Brunswick resident has lost his legal challenge to the East West Link, but is expected to appeal the decision in the next week. Lawyers for Brunswick resident Anthony Murphy had argued the court should grant an injunction preventing the state government from building the $6 billion to $8 billion East West Link. They said the state and its Linking Melbourne Authority had made “misleading representations” about the toll road’s estimated cost benefits and traffic forecasts, thereby breaching consumer protection laws. A key issue in the case was whether the government’s preparations for the road were akin to carrying on a business. Justice Clyde Croft dismissed the case on Wednesday, ruling that the state was not carrying on a business and that it had not made representations in trade or commerce. The judge said the government had prepared a short form business case on the East West Link to attract federal funding from Infrastructure Australia, rather than to conduct a business. Media releases published last year about the project were “entirely consonant with the ordinary functions of government…and devoid of any business or trading character,” he said. Other government documents, including a comprehensive impact statement and transport summary report were published to comply with the state’s legal obligations, rather than in a commercial context. The state government has promised the court it will not sign the contracts for the East West Link until September 16. Mr Murphy said outside court he would “almost certainly be lodging an appeal” to the court’s decision before then. “We’re not worried about the cost because it’s in the public interest we’re taking this fight and it should be seen as part of the democratic process for a community group to take legal action against the government…citizens have the right to challenge the government, in court if necessary,” he said. Residents Against the Tunnel’s spokeswoman Harriet Mantell, said: “It’s disappointing that any independent scrutiny of the government’s reasoning for the project hasn’t happened yet. It’s wrong that a government can hide behind secrecy and yet submit Victorian taxpayers to potentially massive debt and yet we’re not allowed to know the reasons for that debt”. Justice Croft also said that the injunction Mr Murphy had sought was too broad, because it attempted to restrain the government from entering into contracts with third parties. 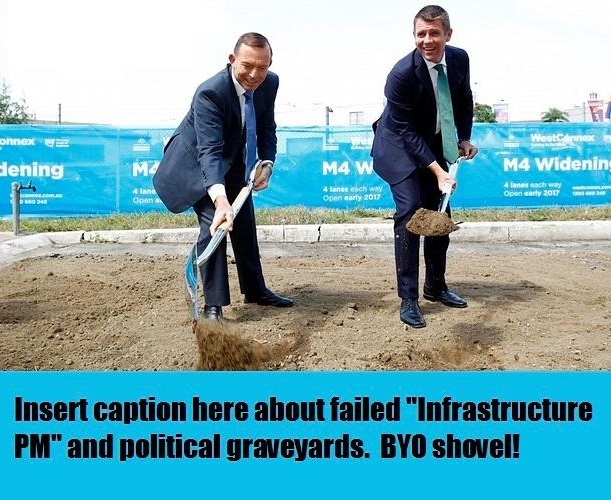 This, he said, was “entirely different” from preventing the government from making future alleged misrepresentations about the East West Link. 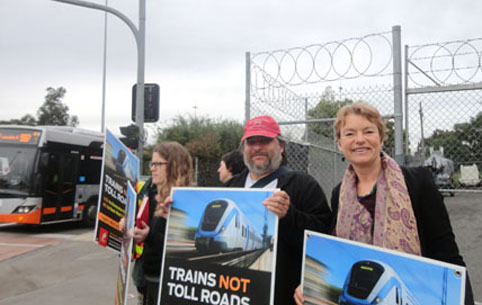 Janet Rice at this mornings Peoples’ Protest on Hoddle St. The full business case for the east-west toll road would be forced into the public spotlight under a dramatic intervention in state politics by the federal Senate.